Mechanics of Placing/Exiting Trades Independent of one Another in Sierra Charts? 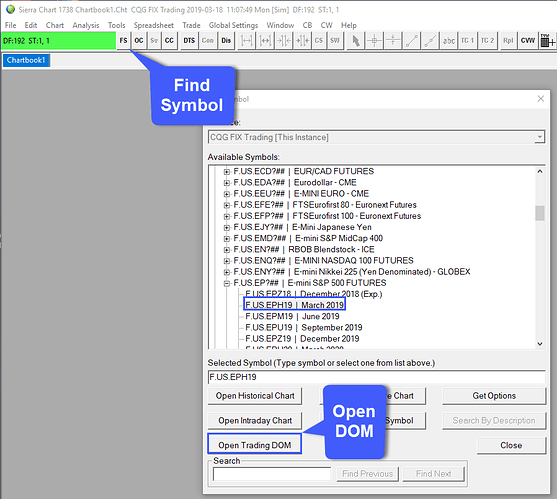 Could someone please help to clarify the mechanics of placing trades, independent of one another, each with its own unique stop/target inside Sierra Charts and how to correctly exit each an individual trade without closing out other ones you want to keep on? 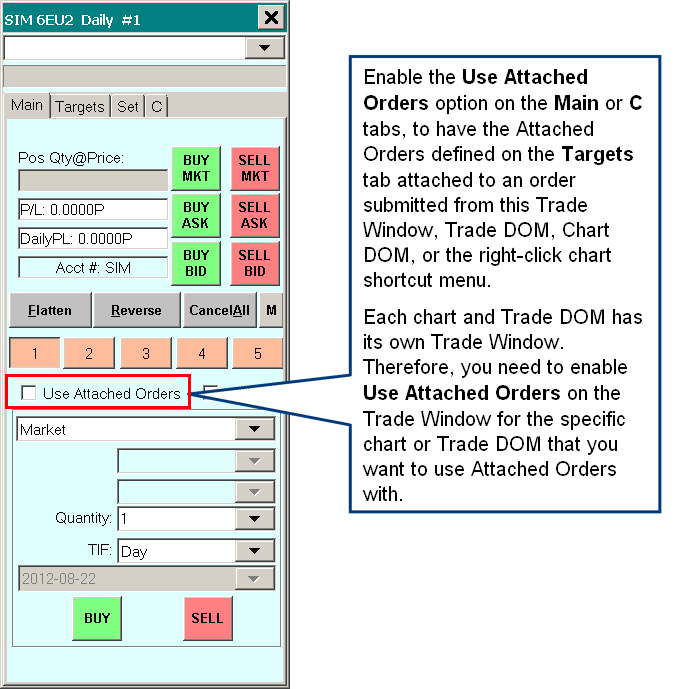 Hey Jake… could you please help to clarify the mechanics of placing trades, independent of one another, each with its own unique stop/target inside Sierra Charts and how to correctly exit each an individual trade without closing out other ones you want to keep on? Hello Don @DonB and welcome to the Optimus Community. I will let the @Mod-JakeM answer your order trading questions about Sierrachart. But, I would like to interject and tell you that when you trade, there is no way to separate executed orders without them closing one another indeed. A Futures order that long closes a short and vice versa. However, each strategy can still work out despite that this may sound counterintuitive. If you have profit and stop-loss targets, although they close another in different periods, the P&L will stay the same if all futures orders are executed according to the strategy. If you have futures trading orders that may be “clashing” with one another, it would be best to open two separate accounts and employ the strategy you wish to have on each account. Sierra Chart considers orders with stop/targets placed with them "Attached Orders. These can be used by placing orders through the DOM. 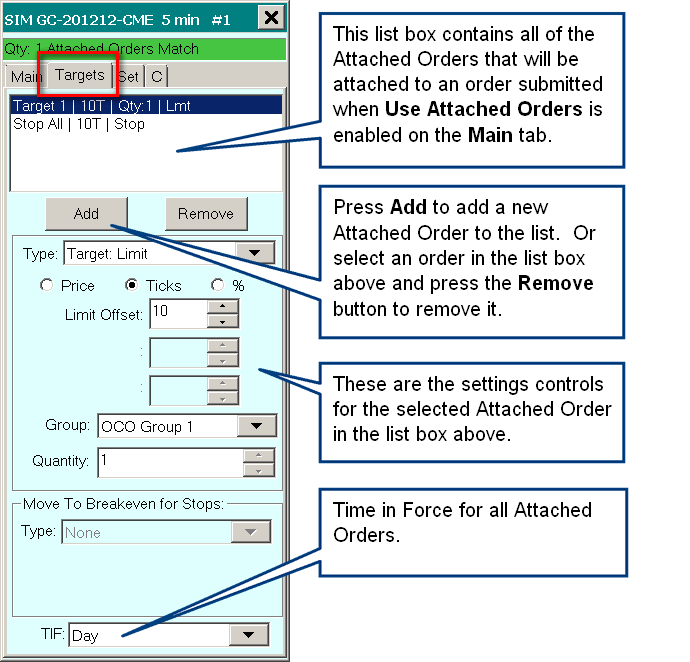 Once you have configured the Attached Order appropriately, you’ll need to enabled the Use Attached Orders checkbox. 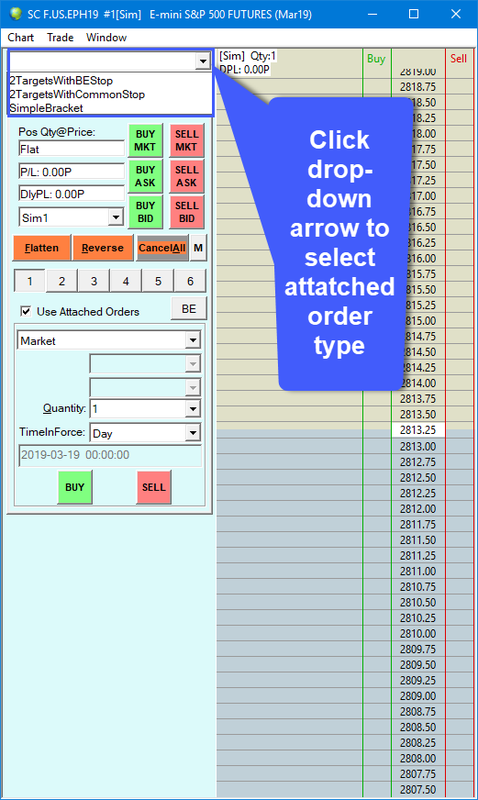 Once enabled with an attached order selected, simply place an order as you typically would and you will find your stop/target legs attached to your order. Once opened, you can use the Cancel and Cancel All buttons at the top of the page as well as the Flatten & Flatten All buttons to cancel/exit positions. If you’d like to exit or cancel individual positions, simply highlight the position in the table below and then click the Cancel/Flatten button as needed. If you have multiple positions and would like to exit them simultaneously, you can simply click the Cancel All/Flatten All button. I hope this helped! Let me know if you have additional questions.